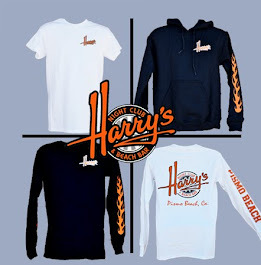 Harry's Night Club & Beach Bar: Harry's Weekend Music Lineup! Harry's offers Live Music 7 nights a week! 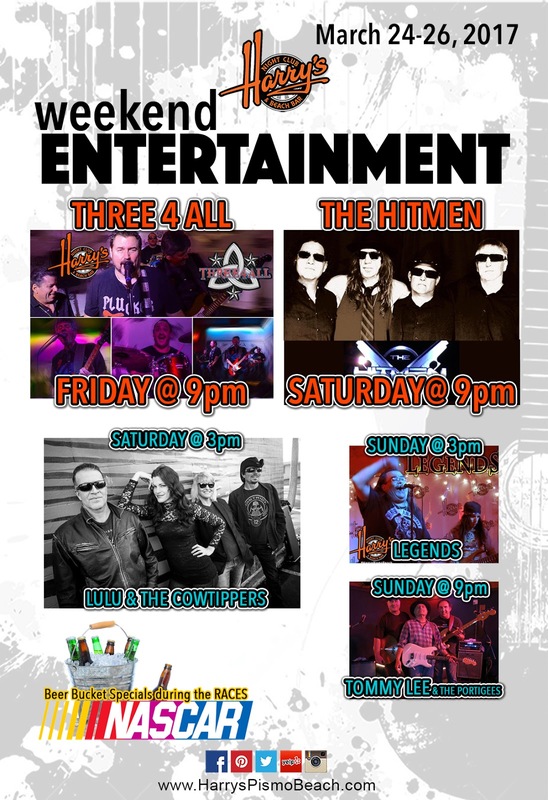 This weekend we bring you Three 4 All Friday 9pm; LuLu & The Cowtippers Saturday 3pm; The Hitmen Saturday 9pm; Legends Sunday 3pm and Tommy Lee & The Portigees Sunday 9pm. We have a huge dance floor are located right downtown Pismo Beach, we have a full bar, TVs to watch sports on and pool tables! Come on down to Harry's and join us, Where The Party Never Ends!